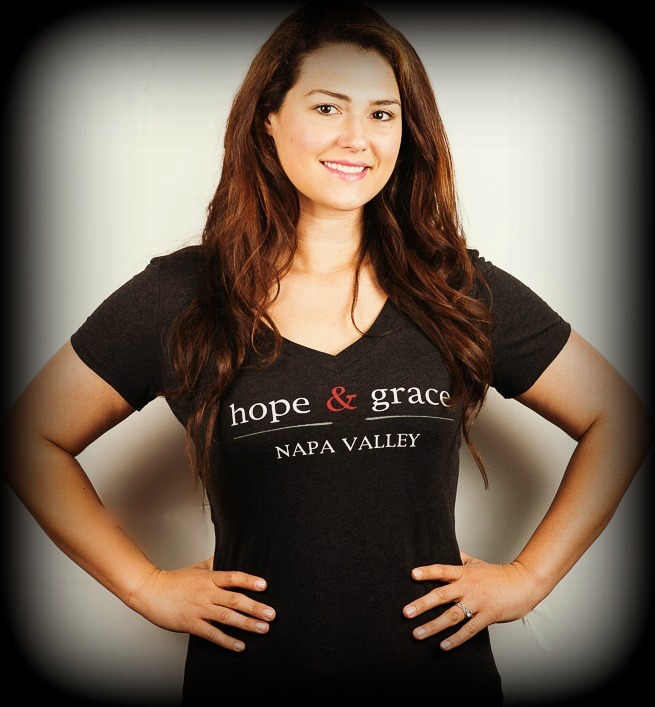 Our new stylish and super soft ladies hope & grace logo T-shirt in a tasteful V-neck design ... This Tee looks amazing on everyone! Sizes: S. M. L. XL. This fabulous pre-washed T-shirt is an organic Tri-blend, custom dyed and made in San Francisco, California!